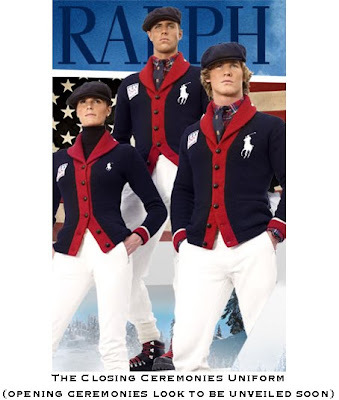 Ralph Lauren is outfitting the athletes. It’s perfect, really, because Ralph Lauren is the epitome of all-American fashion, and what’s more all-American than the U.S. Olympic Team? Especially this year’s team. In addition to the fact that they’re representing the country in athletic competition, their classic good looks are so completely all-American that they could easily pass for R.L. models. Another development in this year’s uniform is that it’ll be available to consumers. Not only can you purchase the same pieces the athletes will be wearing, but you can also create your own Team USA-inspired gear, should you be so inclined. Such items are available both on the website and in Ralph Lauren stores. America and Ralph Lauren. High Fashion for sure! I'm personally a big fan of louisaatlarge blog. Thanks for sharing this post.